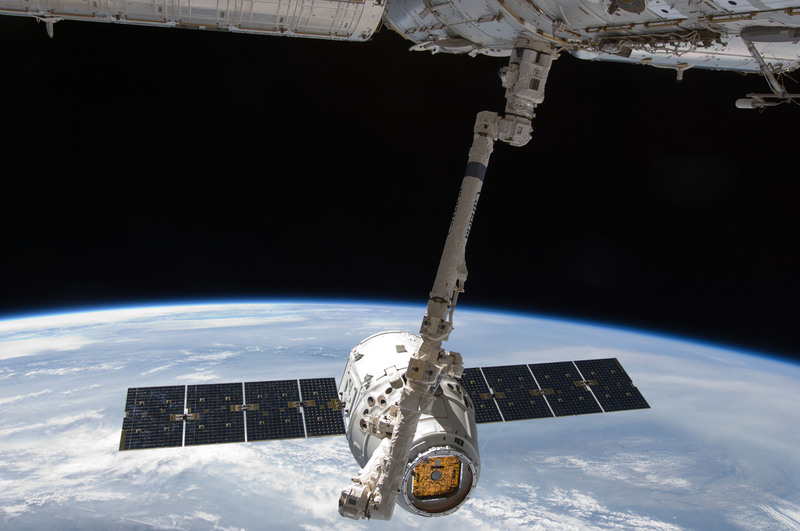 When the next SpaceX Dragon cargo ship arrives at the International Space Station (ISS) this weekend, it will set a record for the most vehicles docked or berthed with the outpost in the post-Space Shuttle era. There are currently five vehicles at the ISS—two Russian Soyuz, two Progress freighters, and Orbital ATK’s Cygnus. When the CRS-8 Dragon arrives, that number will increase to six. It will also be the first time two commercial cargo ship are at the outpost simultaneously. The last—and only other—time six ships were attached to the orbiting lab was Feb. 26–March 7, 2011, when Space Shuttle Discovery was docked for the STS-133 mission. That was also the only time that all of the originally planned government-owned spacecraft (Space Shuttle, Soyuz, Progress, Japanese HTV, and the European Space Agency’s ATV) were at the station. 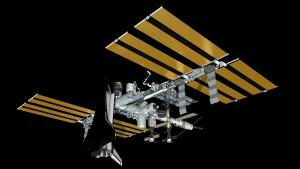 Dragon spacecraft is currently scheduled to launch on April 8 and will arrive at the outpost two days later. It will be berthed to the nadir port of the Harmony module, some 40 feet from where the Cygnus is currently berthed—the nadir port of Unity. This “dual-berthing” configuration was made possible last year when the Permanent Multipurpose Module Leonardo was moved from the location where it was originally installed—where Cygnus is now—to the forward side of the Tranquility module. All of this is part of the space station program’s plan to reconfigure ISS for dual-berthing and dual-docked commercial crew and cargo ships. The final step in this process will be to move Pressurized Mating Adapter (PMA) 3 from the port side of Tranquility to the zenith port of Harmony. This is scheduled to take place sometime this year (2016). A number of extravehicular activities over the last year were devoted to rewiring the outpost to prepare for new docking ports, International Docking Adapters (IDAs), to be attached to PMA-2 and PMA-3, which supported the Space Shuttle program. When SpaceX and Boeing start sending their crew-rated commercial vehicles to the orbiting laboratory sometime next year, they will dock to these new adapters. Although it isn’t planned at this time, in principle, the ISS could support a total of eight visiting spacecraft—either docked or berthed. Great article! Keep up the good work. Nobody else gives the in-depth writing like Spaceflight Insider. Thanks! Good work, Derek. SFI always comes up with some very interesting angles on the news. I especially enjoy the NewSpace stuff.